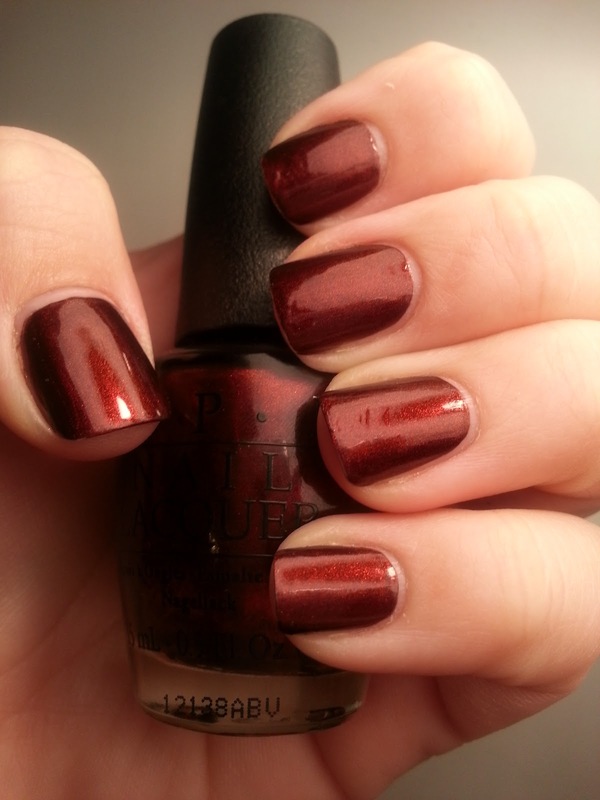 A few days ago, I wore OPI German-icure for the first time. I'm not typically a fan of red polish, but this one is perfect for me. 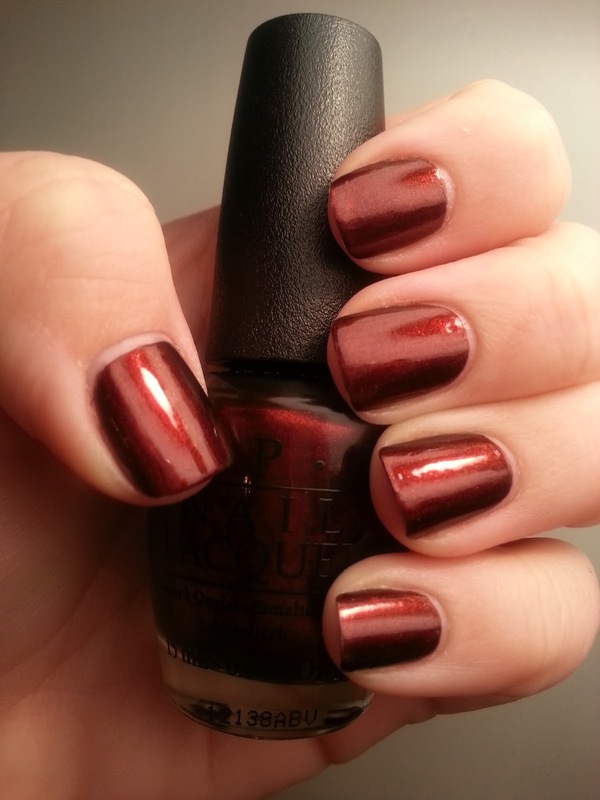 It's a beautiful blackened vampy red shimmer. It's not too bright or too dark. In the light, it's reflective and almost metallic. I actually wore this for 3 days. It's extremely versatile and I received many compliments on it. After a few days, I had minor tip wear. I didn't feel like removing my polish so I decided to attempt my first half moon manicure. This ended up to be a bit of a fail, but it was worth a shot. I started with regular old paper reinforcement stickers. Pretty simple, right? 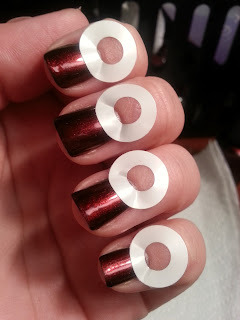 After applying the stickers, I did two thin coats of Rescue Beauty Lounge Killa Red, an oxblood jelly polish. Then, I removed the stickers carefully as to not mess up the clean lines. This went smoothly for me. I was a bit surprised. I added a coat of Seche Vite on top. The colors are too close to one another for this look. I should have used something with more contrast. I wish I could have captured the shimmer that Killa Red gained from German-icure. It was so pretty in real life. 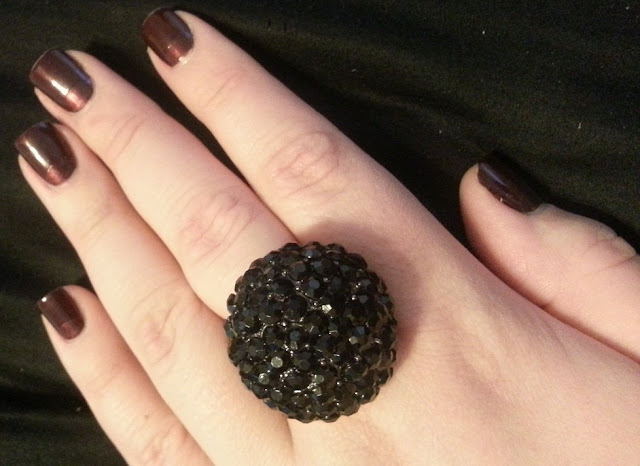 I actually wore one of my favorite stretch rings with this look. What do you think? I'll definitely try a half moon in the future, but I'll plan out the colors better. Just a shade or two darker and this would have been perfect. love half moon manicures!! looks god! i did bright pink as the base layer and then put black over it and it was GORGEOUS!!! I like the way German-icure looks on you. I was going to get it over the weekend but I thought it looked to dark in the bottle and got Every Month is Oktoberfest. 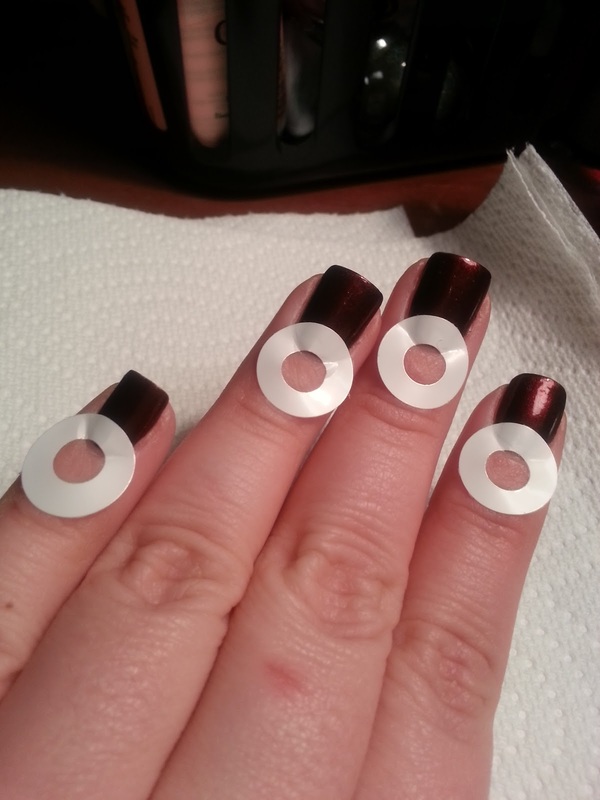 I may need to rethink German-icure though... And your half moons came out much better than the times I tried. Add another compliment from me! 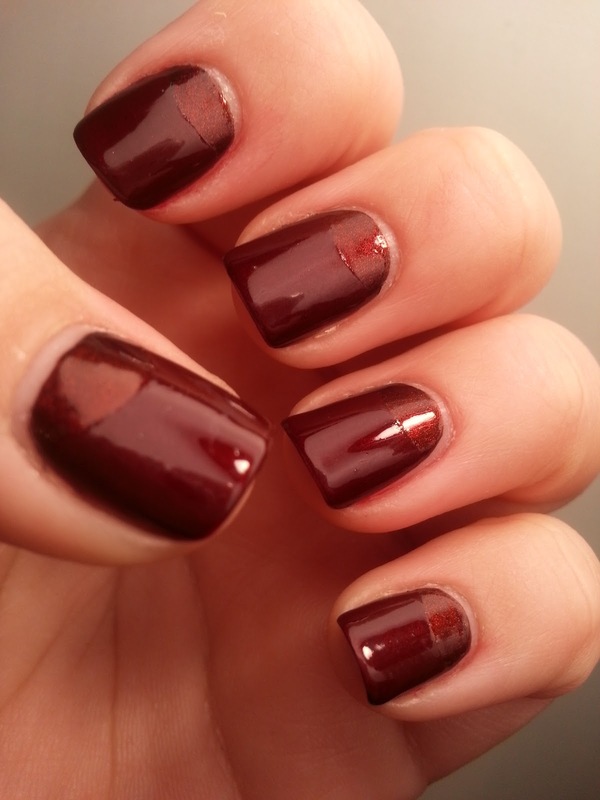 This colour looks fantastic with your skin!